I wish my part of the globe didn't clutch onto winter like it was their last Rolo. I am itching for it to be warm enough to spraypaint things outside. Or to watch things grow. Or to put away the ugly winter rugs that absorb gross winter boot juices. I want sunshine! Spring is still nowhere in sight and I am itching to get a move on. 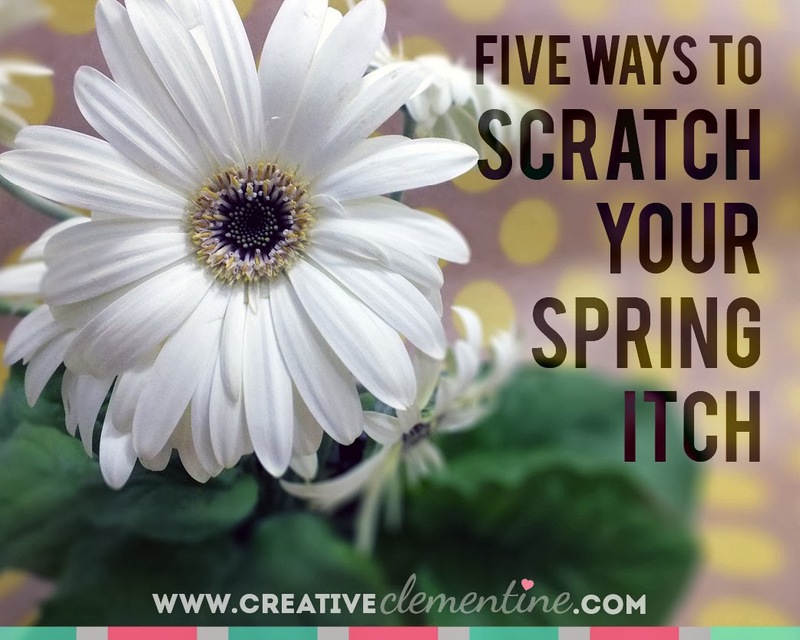 If you're in the same boat, here are a few things you can do to feel the joyous effects of spring without having the luxury of an actual change of seasons. 1. Buy spring at a store. In lieu of free unlikely flowers, here is an article from Apartment Therapy that links to many more resources for getting started on plant shopping. With weather this cold, its hard to believe that its already time to be starting our seedlings for the garden. In Tbay, the "old country" method is to wait until the full moon in June, or something, before putting plants outside. Which then gives you three short months of summer. So you better be prepared to put a fairly large plant outside at that point. Make a point of setting aside a nice space where your seedlings can grow up for awhile... Seeing new sprouts is a fabulous way to remind you winter hasn't drained life out of everything. 3. Do ALL your laundry. I mean it. All. Of. It. Throw blankets, pillow covers, bathmats. Everything. We all have those "do it later" piles of laundry that get ignored for ages. The "not enough for a full load of delicates" pile, the "island of lost and/or mismatched socks" pile, the "I should probably get rid of this but I need to wash it first" pile. They all need to get washed and sorted accordingly if you want to feel the awesome effects. Which leads me to #4. 4. Get rid of some crap stuff. Prepare yourself for yard-sale season if you're into that sort of thing, or start thinking about things you can donate/get rid of. You will feel much better clearing through the clutter, whether its clothes, kitchen gadgets, or stale pantry/freezer items. Whatever it is you don't need or won't use, get rid of it. Obviously this part could make things feel worse before they get better if you live in a small space. But if you are lucky enough to have a small area where you can set some things aside, it's worth it. When spring finally comes around you will feel like your house lost its winter layers! 5. Change something you look at everyday. So this one is a bit odd, but I just did it and swear by it. I decided to start by clearing out and reorganizing the apps/shortcuts on my phone and changed the wallpaper. It feels like a brand new, totally organized phone! Other things I will be swapping out experimentally over the next few torturous weeks (hopefully not months!) of winter are gallery wall photos, my bedroom curtains, and maybe even my Gmail inbox theme if I'm feeling sassy. Turning something old into something new feels really, really good during a time of year when I feel like everything needs a little air. I am pretty happy with the results of these five tricks so far, and they are super easy to accomplish. I now leave you with a music video that pulls my heartstrings in amazing ways. I think I'm the only person left who doesn't want winter to be over. But it would be nice to open the windows wide and all afternoon to get some fresh air into my house. And love the suggestion for changing up something you look at everyday. It's like the idea of rotating artwork on your walls. Just a little mix up. A good April project for me!